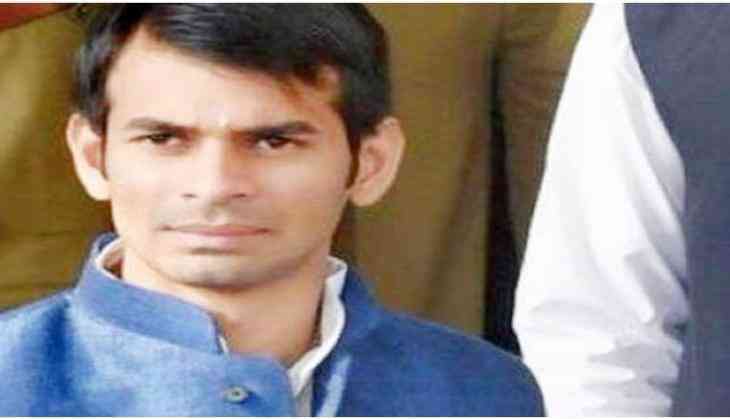 An armed individual clutched Rashtriya Janata Dal (RJD) leader Tej Pratap Yadav's hand in Mahua, where the leader had arrived to extend greetings to people on the occasion of Eid al-Adha on Wednesday. In the wake of the incident, the former state health minister alleged that the incident was a conspiracy hatched by the Bharatiya Janata Party (BJP) and Rashtriya Swayamsevak Sangh (RSS) to kill him. "While I was on my way to Mahua, an armed person held my hand and was unwilling to leave. This is a conspiracy by RSS and BJP to kill me," he said. The man was spotted by Yadav's driver among the crowd gathered to greet him in Mahua. Subsequently, the driver and others present there raised an alarm, after which the man was handed over to the police. However, Yadav claimed that no arrest was made. Questioning the state government in the wake of the incident, the RJD leader said, "When MLAs and ministers are not safe here, how can commoners be safe?"